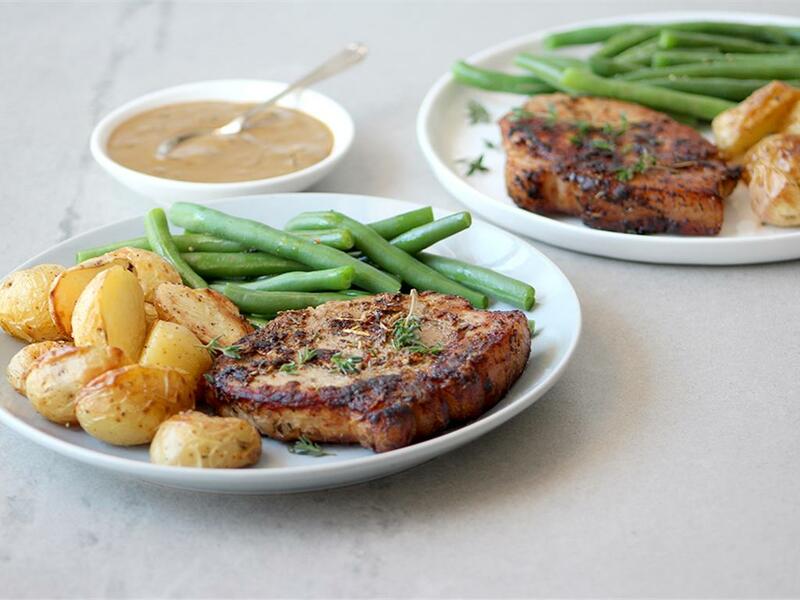 Garlic pork chops, roasted baby potatoes & buttery green beans with a cream sauce. Pork chops Place a dry pan on medium-high heat. Cut perpendicular slits (about 2cm apart) all the way along the fatty edge of each chop to prevent it from curling up in the pan. Drizzle with olive oil and coat in garlic seasoning and salt & pepper. When the pan is hot, add the chops and sear for 3-4 minutes a side. Hold the chop on its fat edge for 1 minute to crisp it up. Set aside, keep warm.